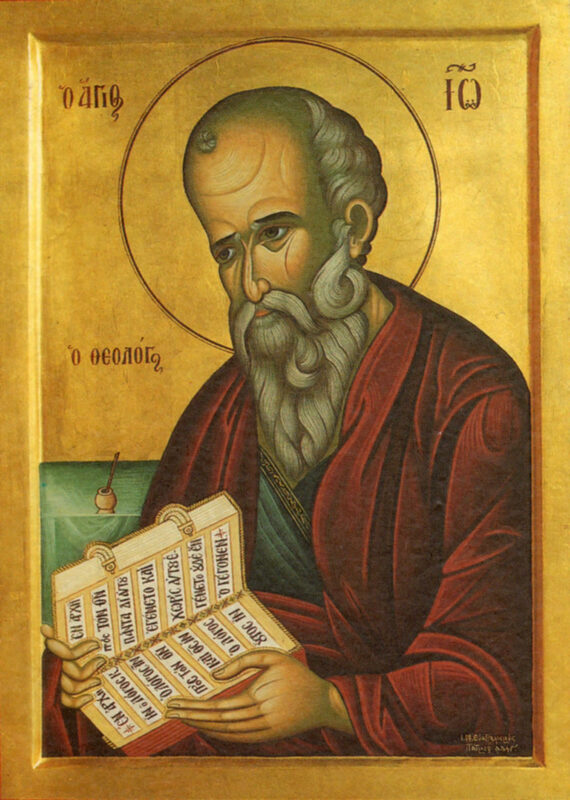 St. John the Theologian was son of Zebedee and Salome from Besthaida of Galilee. A fisherman by trade, Jesus called upon both he and his elder brother James while fishing with their father to follow Him and become fishers of man. Leaving behind their father and all worldly possessions they followed Christ wherever He went as His disciples. As the beloved Apostle of Christ, he was present at our Lord’s Transfiguration on Mount Tabor and sat next to our Lord at the Last Supper where he placed his head on our Lords bosom. At the Crucifixion, only he of all the disciples remained along side the Theotokos at the foot of the Cross and it was here that Jesus presented him to His Mother as her son and in turn entrusted him with the care of His Mother. instructed him to write it down. Following our Lord's instructions Saint John composed all the things which he had seen into the book known as the Apocalypse (the book of Revelation). Upon the death of the Emperor, Saint John returned to Ephesus where he then wrote his Gospel and his three Catholic Epistles. 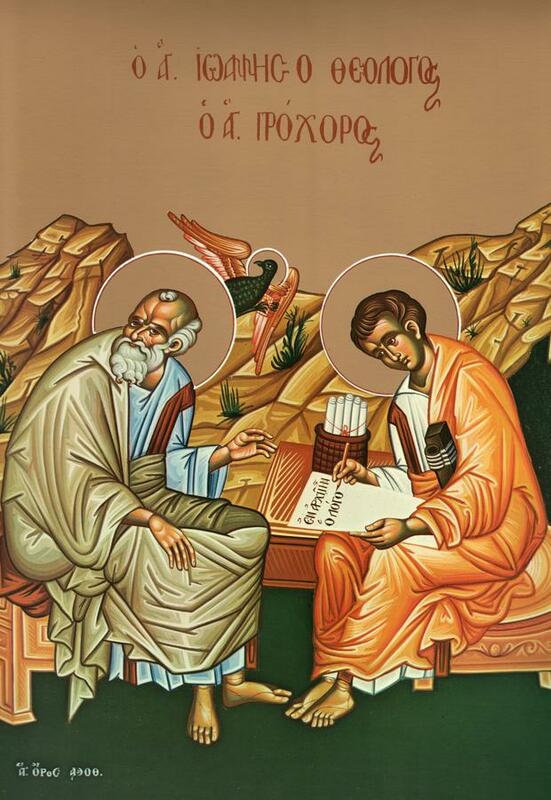 The feast of St John the Theologian and Evangelist is celebrated on May 8th. The feast of the Metastasis of St John the Theologian in celebrated on September 26th.